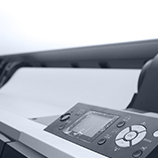 Rent Office Equipment - Printers, Copiers, And More For War Rooms In NYC | Business Equipment Rentals Inc.
An orderly, centralized war room can make the difference between a stressful and a stress-free trial. There are few things more helpful than organization and preparedness when it comes to successfully navigating an important trial. Trial attorneys and paralegals alike will benefit from an organized war room to keep files together and in order. 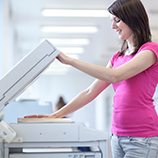 Having the option to rent office equipment can offer a solution to organization and efficiency. Setting up a war room is much like setting up a miniature office. You can take care of a few different organizational materials, such as temporary shelving and conference tables. But you don’t have to bother bringing in office equipment that will make your life easier thanks to Business Equipment Rentals. Whenever you need to set up a war room, you can rent office equipment that you need to make it successful and seamless work. 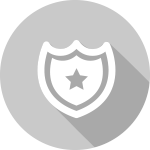 Rent printers, copiers, fax machines, laptops, and shredders from Business Equipment Rentals for a fraction of the cost you would pay to buy new ones for the different war rooms your firm may set up at any given time. 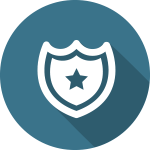 Having these pieces of essential business equipment means your trial team can always be in communication with the main office and can make copies, print documents, and work online while being in a remote location. Renting this office equipment means you have top-of-the-line, name brand machines in your war room at all times. Plus, Business Equipment Rentals provides 24/7 support to service any machine you rent from us. So when you’re pulling those late nights at the office and something goes awry, all you have to do is call one of our experts. We’ll be there in minutes! We are centrally located in Midtown Manhattan and can travel anywhere in the tri-state area. Business Equipment Rentals is proud to work with the trial lawyers in and around New York City to help set up war rooms with effective, efficient, and quality office equipment. We offer delivery and set up for all rentals, and when trial is done and you tear down your war room, our team will be back on site to pick up the equipment and machines. 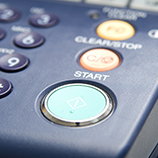 Trust Business Equipment Rentals for your office equipment needs when you need to focus on an important trial. Our team is here for you. Give us a call today to discuss which pieces of office equipment can help make your war room run successfully.